Join Pioneer Works staff, artists-in-residence, and friends in our garden for happy hour. Each event spotlights a local chef or culinary organization. This month’s Happy Hour features small bites by Haven’s Kitchen, a cash bar, and live music by Matt Evans & Co. A vegetarian Middle Eastern feast cooked over the grill and in the coals will be served at one long communal table. Haven’s Kitchen is a space dedicated to forming communities through the pleasure of cooking and eating. 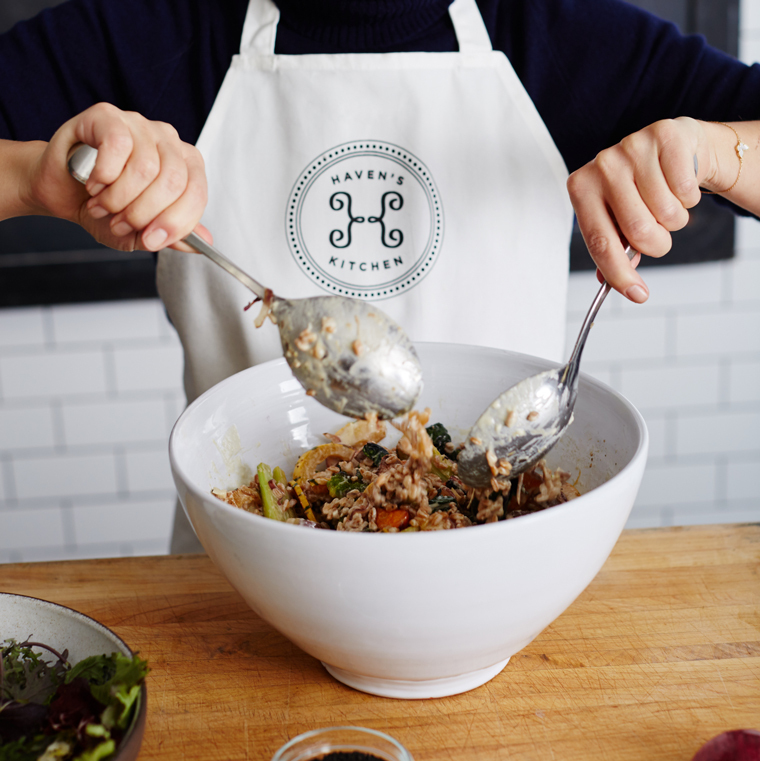 Alison Cayne opened Haven’s Kitchen in 2012 with the goal of teaching the pride and pleasure of cooking seasonal ingredients from scratch. She founded the company with a mission to educate people on how decisions around the food we purchase, eat, and make affect the environment, society, and our daily relationships. Initially a cooking school, the business eventually expanded to include a café, on-site and off-site private event services, and culinary consulting. Alison’s first cookbook, The Haven’s Kitchen Cooking School, is published by Artisan/Workman.